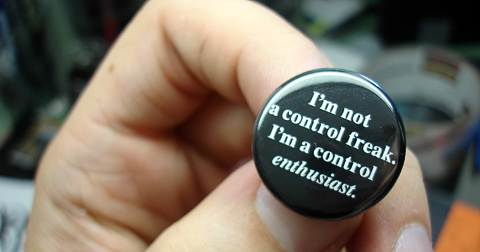 Do you have a “control freak” trait in your personality??? I certainly have this trait!!! I still have situations where I have to consciously remind myself to let the universe and my guides take over whatever impossible circumstance I’m trying to control. So, I went to college for 6 years to become an Industrial Designer and then landed a great job as a designer in a fast-paced design business. My goal was to be a big success in the career path I had worked so hard to get into. But, after a few short years in my job, I was forced to leave my career. Later, to further complicate my life, I had to go back to Colorado to care for my mother who had cancer. Don’t get me wrong, I love my mother and would do anything for her and have no regrets. But, I again LOST ALL CONTROL. I felt fear for my future and my life goals and believed I was a failure. During what I perceived to be a big disruption to my career and goals, I started to really be able to listen to my heart and soul and to my friends and associates. Not being able to control my situation, my future or my mother’s illness forced me to STOP trying to control it all, and turn everything over to the universe and my guides. This allowed me to reassess and redirect my life to follow my true passion of being able to help people. Eventually, I allowed my psychic medium messenger expertise to take over and I put out my psychic medium shingle. My inability to remain in control of my life led me to a completely different life career and path. One that completely fulfills me while being able to help others. Instead of trying to be in control all of the time, I now have learned to do the opposite (usually, after I notice I’m in control mode). I EXPAND my consciousness, allow the universe and my guides to take over and LET GO OF CONTROL. Then and only then, do I really KNOW and TRUST that whatever is in my very best interest will take place. I always love your inspiring messages Bee! Much wisdom in your insight Bee, much love, sharing! Thanks Bee, this hit the mark!